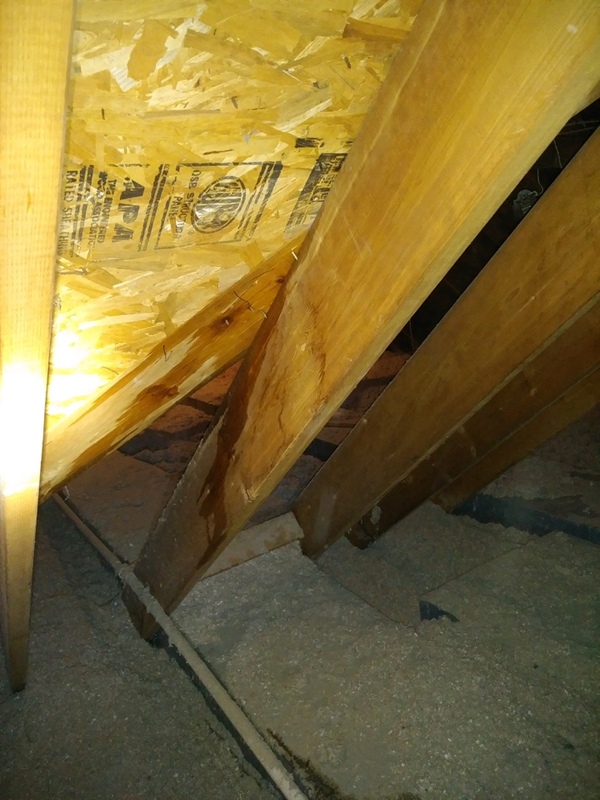 Water leaking in attic coming from roof. Clean and check Signature a/c unit. 2 heat pump checks, newer one needs both coils. Heat pump a block of ice, I left it off. Clean and check 80% Amana furnace. 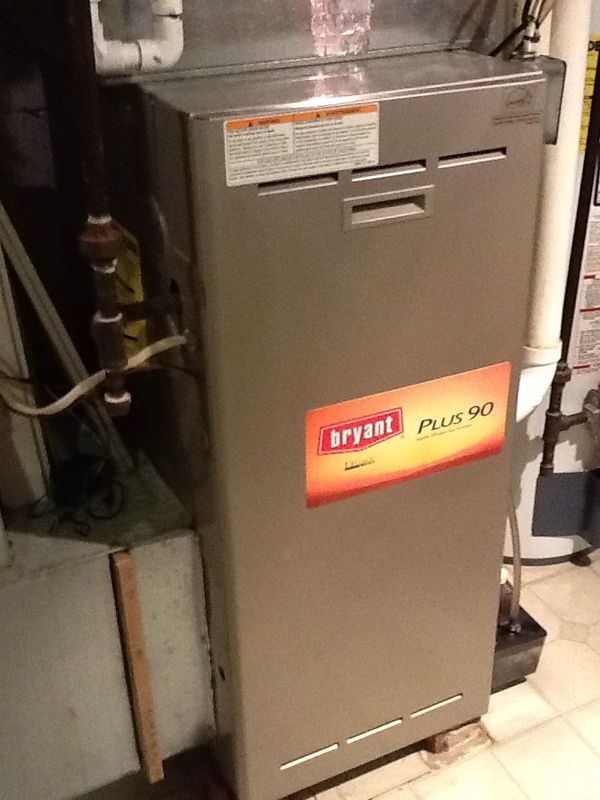 Clean and check 90% Bryant furnace. At Boehmer Heating & Cooling, we care about your comfort and your health, which is why we offer such a wide range of high–efficiency AC and heating systems, expert repair and maintenance services, and top–of–the–line indoor air quality systems. Our highly trained technicians have many years of experience in the industry, and we’ve seen almost everything that can go wrong with an HVAC system. We want to help you stay comfortable all year long with quality service and an effective heating and cooling system, so call our friendly team today. We offer top–of–the–line products, excellent customer service, and quality work in Clairton, PA. In the Clairton, PA area, a central heating system ensures that you’ll make it through the winter without shivering through the coldest of nights. We can help you find a quality product that is sized just so to suit your home heating needs. We also offer heating maintenance and repair, and we will get there fast when you feel that your comfort is in jeopardy. Ask one of our friendly heating service technicians for more information about our services. 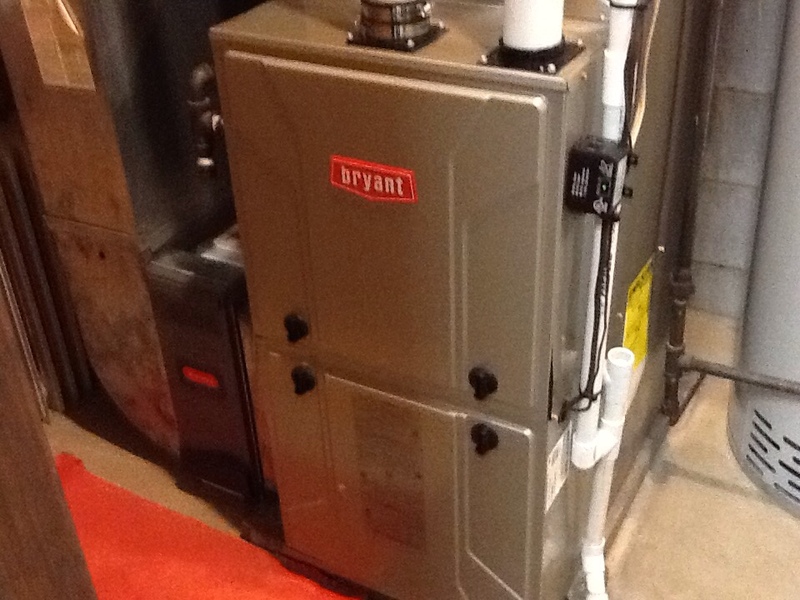 We can take care of your emergency or non–emergency furnace, heat pump or boiler repair needs. We know how rough it can be to get through the day and night with a heater that just won’t do the trick, so we can show up no matter how big or how small the issue may be. Just give our friendly experts a call. Furnaces are easily installed in most homes, they tend to be durable, and today’s models run more efficiently than ever before. These are just a few of the reasons to consider installing a new furnace in your home. And when your system breaks down, you can trust us to get there quickly and to make sure that everything is safe and ready to operate again before we leave. A heat pump has many of the same components as a conventional air conditioner—such as a compressor, coils, and refrigerant—but with a few extra that allow it to run in reverse and heat your home as well. The heat pump is becoming a more and more common fixture in homes due to efficiency and convenience, so call today to learn more or to schedule installation or service. An air conditioner is a complex piece of machinery, and most homeowners are not prepared to handle an air conditioning service without the help of someone with the proper training and experience. We offer air conditioning services that should restore your system to normal operation, or we can find you a suitable replacement unit. Call our team today to learn about the high–efficiency systems we install or to schedule maintenance or repairs. You may be surprised to find out what a major difference it makes to replace an older air conditioner with a new high–efficiency system. Your air conditioning replacement system should operate with less trouble than your old worn AC and save you a lot of money each month. Call us for quality air conditioning installation or replacement services. We hope that you don’t have to call us for a major air conditioning repair this cooling season, but hope isn’t enough to prevent an AC system from failing. The best way to stop your AC from falling apart when you need it most is with regular air conditioning maintenance. Schedule professional service with our experts today! You work hard all day and expect to be able to relax at home in an air conditioned space, which is what makes sudden air conditioning troubles so dismaying. Our air conditioning repair specialists will be there when they say they will, and you can expect a thorough assessment of your AC system and repair work that goes above and beyond to restore the system. Geothermal heating and cooling systems absorb the heat energy from several feet underground and use that to move cool or warm air into your home. We install geothermal systems, a service which few contractors in the Clairton, PA area can do. We also service geothermal systems, although it should be noted that geothermal services are few and far between due to the durability of most geothermal heating and cooling systems. Think about how much dust moves through your home in the course of a week. When this dust circulates through your HVAC system, it can aggravate allergies or respiratory illness, and certain bacteria can even make your family members sick. Prevent the spread of mold spores, pollen and other common irritants with our installations and services. We install and service a range of indoor air quality systems, so contact us for more information. A standard air filter may not cut it if you want to eliminate a large portion of the contaminants that tend to circulate around the rooms of your home. Install a separate air cleaner or air purifier in your ducts in order to gain greater protection against the movement of such allergens and irritants. Call the HVAC technicians at Boehmer Heating & Cooling for assistance improving your indoor air quality in Clairton, PA.
Great Service Ed is one of your best! Ed knows what he is doing very good at spoting problems. The serviceman was very respectful. He explained everything. The serviceman arrived on time, explained the problem ordered the necessary part & set up another appointment to replace the motor. I have nothing to compare regarding the cost/pricing of service. I had scheduled my yearly furnace service online and the morning it was due I realized that I had never received a conformation. I called the office and they indeed were able to send someone to my home that day. Ed has recently been the service person as he did a great job with a problem I had with my air conditioner this summer. 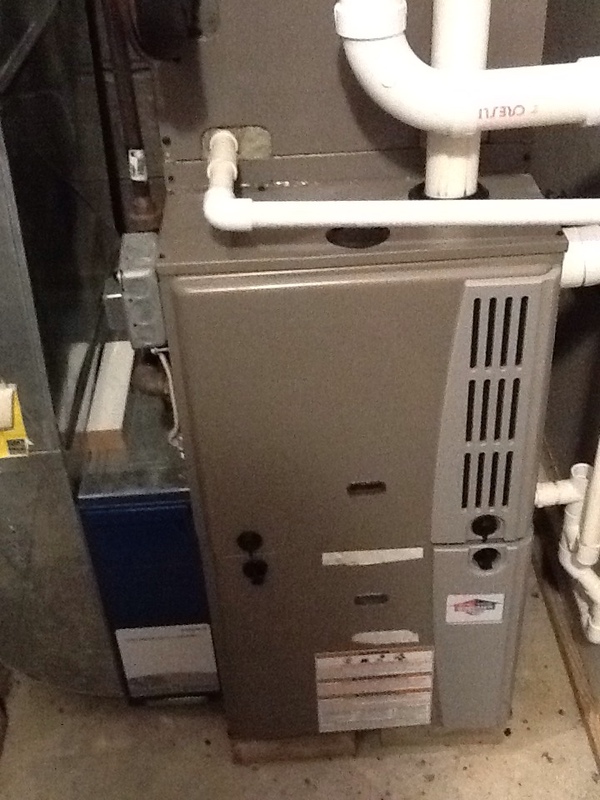 He worked on my furnace and then called me down to the basement to show me that while cleaning my humidifier he discovered that my 2 year old water heater was not venting properly and was not only melting the gaskets on the top of the device but was most likely allowing CO into my home. He followed up not only with the water heater company but also arranged with his company to have the necessary chimney insert installed. An amazing find that was not discovered the prior year and over the top follow-up. This is truly an employee concerned with his customers comfort and safety. Our technician took care to make sure we were aware of any possible issues going forward. He reviewed the history of our cooling unit with us. You could tell he was a very knowledgeable and skilled technician. Our technician answered all questions and made appropriate suggestions going forward. This person was a quality individual who inspired our trust in him and the service. 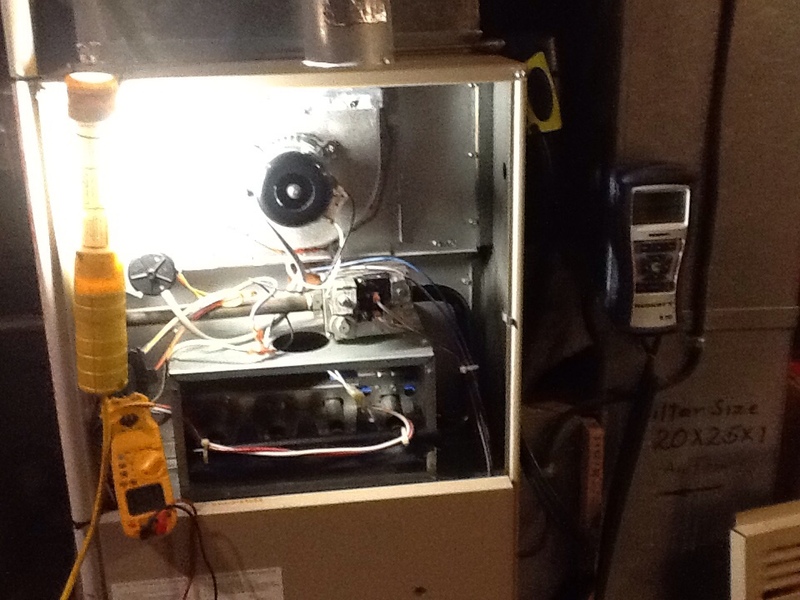 Ralph, completed a winter tune up on one of our furnaces. I spent some time watching him perform his work. His manner of working and ease with being observed clearly indicated he was knowledgeable at his trade. Seven to ten days later he was called to investigate why one of the gas detectors was tripping the alarm. After a series of checks, the alarm was identified and timely repaired. Easy to report a good performance; hard to execute one. Ralph is now known to me as Detective Ralph, the furnace repair person. Have been a Boehmer customer for almost 30 years! Plus my parents and my grandparents were Boehmer customers way before then. Have always been treated royally and the work done has always been superb! Thank you Boehmer Heating and Cooling. Heating maintenance and humidifier service. A/c not running, capacitor open. 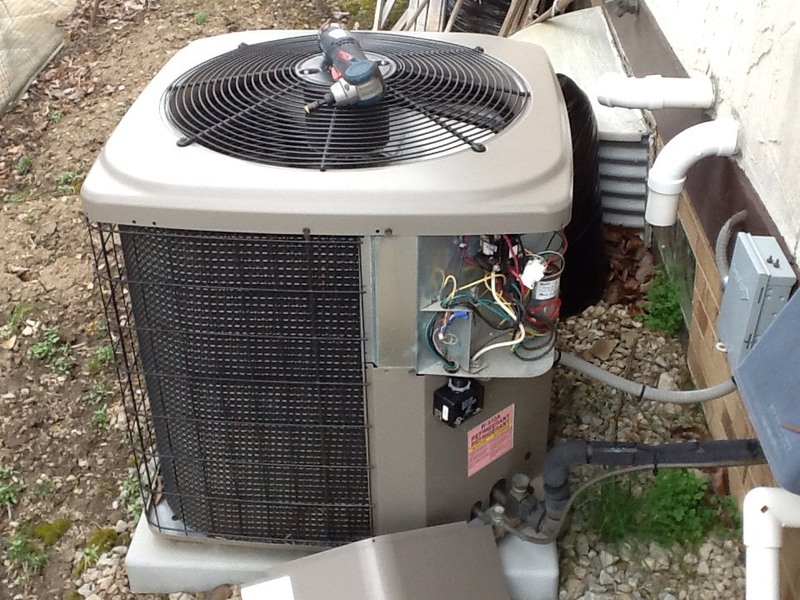 Replace an test a/c operation. 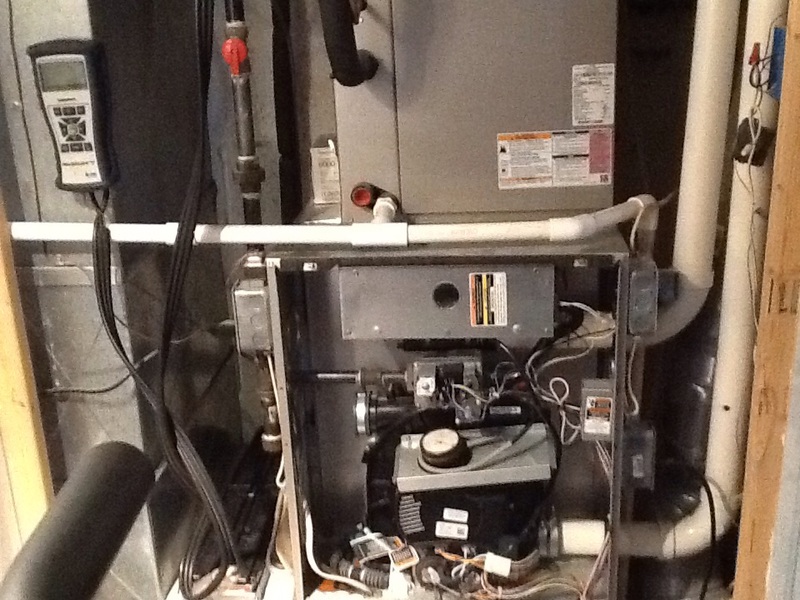 Replace gas valve and pilot assembly on a Bradford White hot water tank. 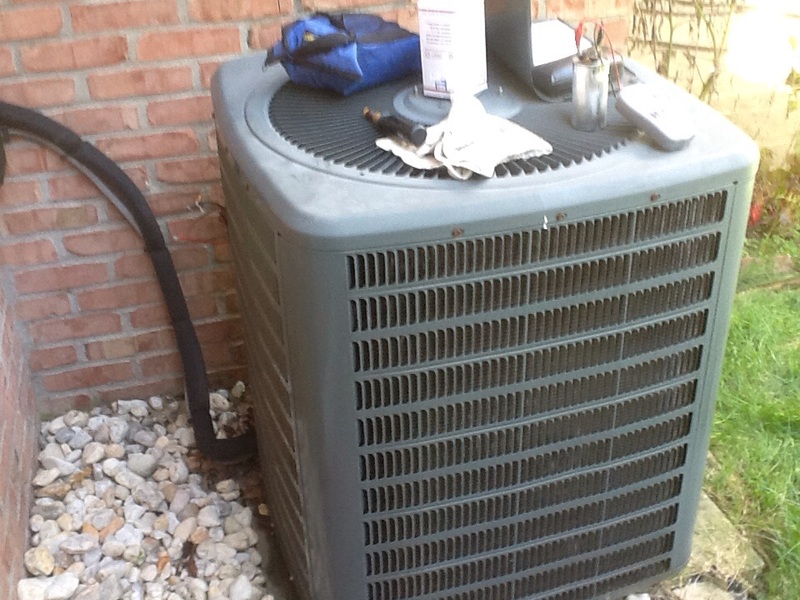 Plus agreement cooling check up on an Amana air conditioner.